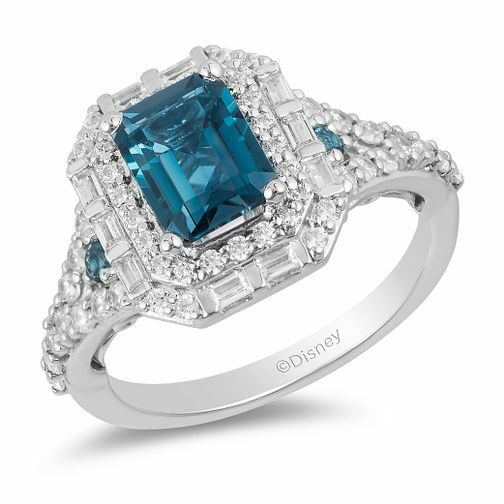 This stunning diamond ring is beautifully crafted in 9ct white gold, inspired by Cinderella as part of the Enchanted Disney Fine Jewelry collection. A striking blue topaz centrepiece is sounded by glistening round and baguette cut diamond halos. The pretty pop of colour carries onto the topaz and stone set shoulders. Complete with an intricately crafted gallery and final gleaming topaz, this divine ring is sure to make her feel like a princess. The total diamond weight of this ring is 0.75ct.